East Dunbartonshire Council approved the move as part of wider measures to save just under £1.2m annually. Under the new arrangements, existing school crossing patrollers will not be replaced as they leave or retire. Instead, other staff working in schools will be trained to take on their duties as part of revised working conditions. Grace Irvine, director of East Dunbartonshire Council's neighbourhood services said: "There will be no job losses amongst our school crossing patrollers. 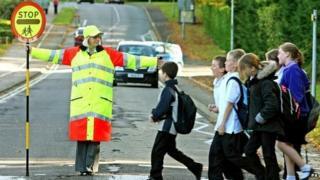 "As we move forward, if a member of the team leaves, they will not be replaced by another school crossing patroller. "Other members of the school facilities management team, who will all be known to the pupils, will take over these roles. Full training will be given before employees are expected to take on any new responsibilities."